Well, we've settled in Chicago. Maja and I are currently living in a tiny apartment right outside of Cook County Hospital - excitement! Our trip back from Poland was uneventful, Lot Airlines provided perhaps the best flight yet. While it's nice to return home, I'll greatly miss the tranquility and simplicity of Eastern Poland. Here is a flashback to desert adventures. 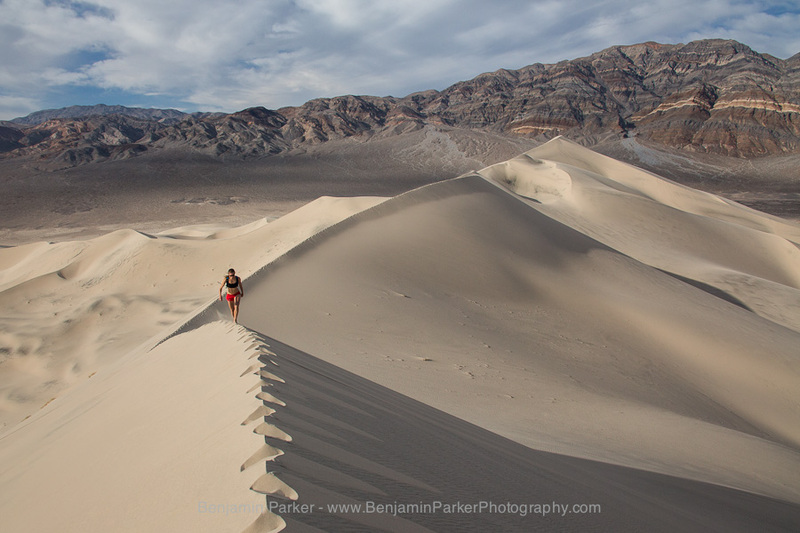 Maja is running at Eureka Dunes in Death Valley National Park - a stunning dune field in the northern section of the valley. Arguably the highest dunes in field in North America, Eureka Dunes reachs an elevation of approximately 680 ft., rising starkly from a desert playa. While the climb up the dunes is grueling, the results are quite worth it; the view from above is absolutely stunning.